VENICE--The tourist axis is between the Rialto and San Marco, but the wealth of the city, fashion windows and tourist galleries aside, is in the vitality of the smaller waterways and the network of campo, calle, fondamento and ponte. Sixty thousand people live on the 117 islands that make up historic Venice, and shop they must for their daily bread, not to mention daily fish. 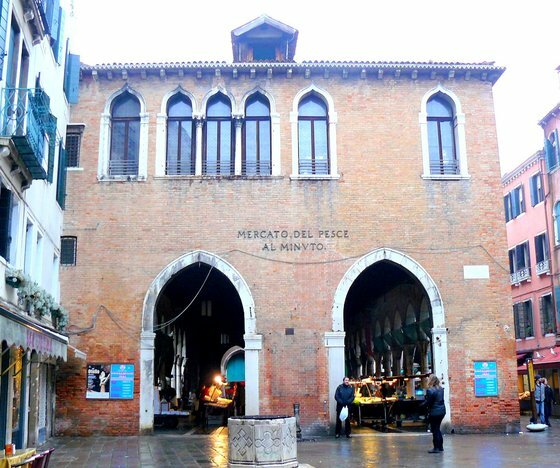 The fish market, just off the Rialto bridge, has existed for centuries, selling varieties of seafood not seen anywhere else. 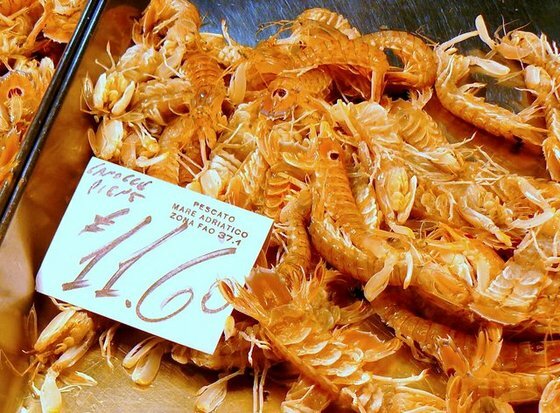 A seasonal treat, they're sold live in the fish markets of Venice, marinated briefly in lemon juice and olive oil, then boiled quickly in acidulated water. 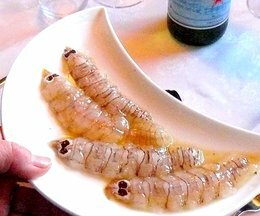 Housewives and chefs sever the canoce's head with scissors, then snip open the abdominal carapace, extracting the meat from its thumnb-sized fleshy tail to be served as a part of a shellfish platter or stirred into a creamy risotto. A baby lobster it's not. The flesh is softer, more tender than a langoustine, the flavor more subtle even than farm-raised Gulf shrimp. The shells do not lend themselves to further extraction, be it for sauce or stock. (There's a reason for crab and shrimp boils seasoned with Old Bay: you're adding the flavor.) Yet canoce are prized by the Italians along the north Adriatic coast, from Venice to Trieste, and by the market shoppers of nearby inland towns. 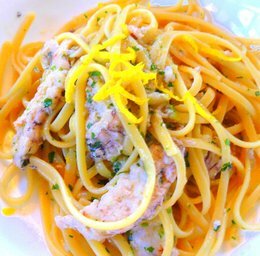 In Gorizia, half an hour's drive from the coast, there's a restaurant called Rosenbar that serves canoce with eggy, housemade linquini. This page contains a single entry by Cornichon published on January 6, 2011 12:30 PM. Starbucks sets sail with a new, nameless logo was the previous entry in this blog. Quack! Ducks downstairs, please. is the next entry in this blog.